Why is it so important to choose a Gas Safe Engineer? It’s important because gas can be dangerous, and you need someone who knows exactly what they’re doing. In order to avoid hazards and accidents which can cause harm and even death, a gas engineer needs to be in control ,and know exactly how to do their job effectively. Is Your Gas Engineer Qualified and Trained? Usually, any gas engineer worth their salt will have had training to ensure he/she is fully trained and qualified to do the job in a safe manner. However, when you hire someone to inspect your boiler and carry out a service check, you won’t know whether they’re qualified or competent enough to do the job, well not unless you ask. Any good gas engineer should be gas safety registered. And any good gas engineer should be busy with a healthy client base that are happy to provide glowing testimonials. A good gas engineer won’t be cheap, their training and qualifications will have been hard won, and then there’s the quality materials they use and their insurance (yes they should be insured). They shouldn’t charge you over the odds, but they should charge you a decent honest price that’s clearly set out on your bill, so you understand what you’re paying for. How do you know that the person you’re hiring is safe to do the job and that you can trust them? Firstly, make sure they are Gas Safe Registered, do this by asking for their Gas Safe ID, and then you can check this against the Gas Safe Register. There are two ways of doing this, one by phone and the other is by doing it online. For a gas engineer it is a legal minimum requirement to have Gas Safe qualifications. There are other things you should be looking out for too, such as experience. How long have they been in the gas industry, do they have a website, if so, go check it out. We mentioned insurance earlier, are they insured? You need to have peace of mind and that any potential damage to your property will be taken care of by a reputable insurance company. What you’re looking for is someone who can offer superior workmanship using quality tools and parts, a gas engineer who is experienced, well qualified and always committed to giving you a reliable and trustworthy service. 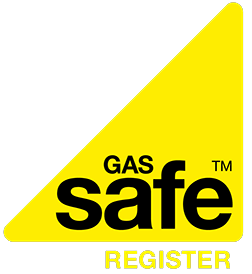 Here at Hometech all of our gas engineers who are Gas Safe Registered, because we believe that in order to provide a quality service you must be qualified, trained and registered engineers. If you have need of a gas engineer, then get in touch with us here at Hometech, and we can provide you with someone honest, reliable advice. Hometech is the home of quality and expertise, and you’ll always get a job well done.